Do you love to swim but afraid to get burnt by the scorching heat of the sun? Or maybe, you want to do some laps but the rains outside is just too hard for you to get out? 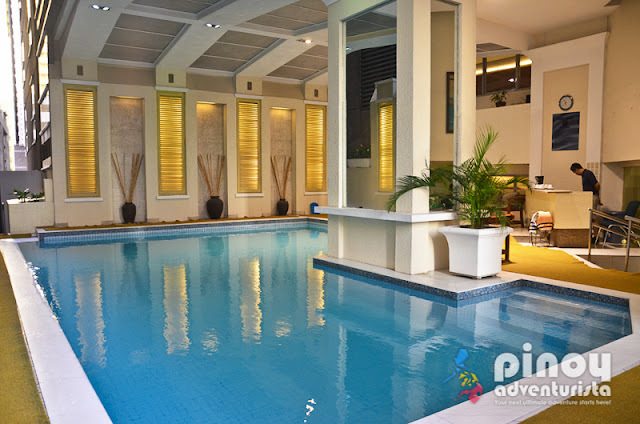 Why not consider a staycation in one of the best hotels in Metro Manila with in indoor swimming pool? This list of hotels in Metro Manila offer not just amazing guest rooms to stay-in but also an awesome experience in their lovely indoor swimming pools that will surely be a delight to everyone! 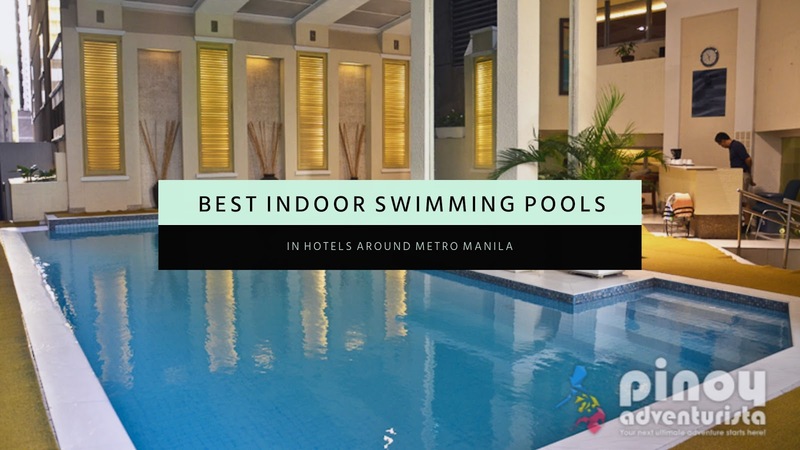 Here are some of the must-visit and must-experience indoor swimming pools in hotels around Metro Manila that you should try! Located along Meralco Avenue, Ortigas Center, Pasig City, Marco Polo Ortigas is a member of the international chain of Marco Polo Hotels. It is the first 5-star Marco Polo hotel in the Philippines offering 316 spacious and well-appointed rooms and suites that will surely satisfy its most discerning guests. One of the hotel's awesome amenities is their indoor swimming pool located at the 12th floor. It a great place to swim a few laps or a place to chill and relax with your family and friends while staying at Marco Polo Hotel Ortigas. Featuring 420 serviced apartments, Makati Diamond Residences is a serviced residences located in Legaspi Village Makati. Being at the center of Makati Central Business district, it caters to frequent travelers, corporate guests and local residents needing a nice place to stay in Makati City - whether for business or leisure travels. 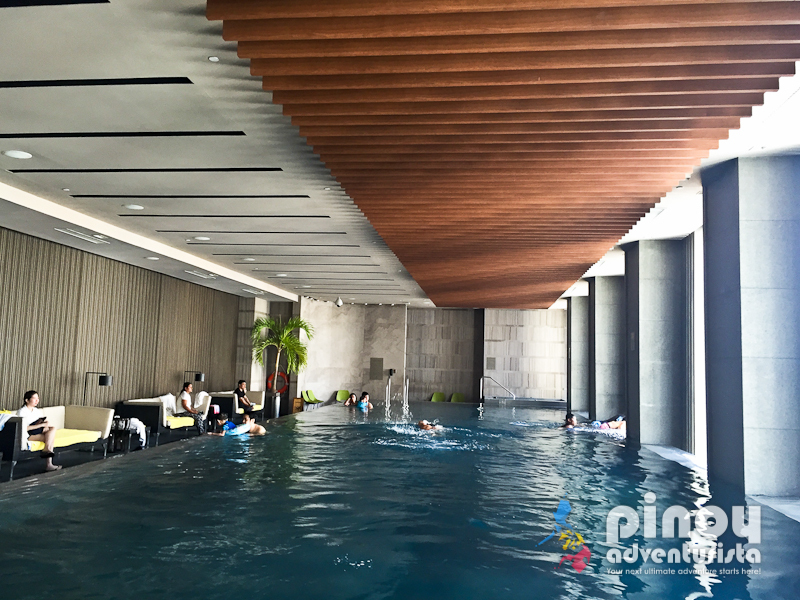 As suggested by our friends from PinasMuna.com, Makati Diamond Residences' indoor pool is definitely a must-try if you want to have a relaxing and memorable staycation in Metro Manila. Nobody blends business with leisure quite like Discovery Suites Ortigas. This stylish hotel opened in the year 2000 with a wide array of suite rooms designed for leisure and business travelers visiting the city. Conveniently located along ADB Avenue, it is near the city's business, commercial and entertainment districts making it an ideal place to relaxing and memorable stay. An exciting array of hotel amenities and facilities await every guest at Discovery Suites Ortigas. One of them is their lovely indoor swimming pool located at the 5th floor which is manned by a pool attendant ready to assist every guest's needs. It also offers a mini Jacuzzi, day beds and free flowing coffee, which I like! The pool is open daily from 8:00 a.m. – 8:00 p.m., and towels are provided upon request. Located right at the heart of the bustling Ortigas City Business Center, Oakwood Premier Joy~Nostalg Center Manila, is a luxury hotel that promises 5-star quality accommodation experience with the exclusivity and comfort of a private residence. This was also suggested to us by our friends from PinasMuna.com for its heated indoor swimming pool. The lovely swimming pool at Oakwood Premier Joy~Nostalg Center Manila also features a Jacuzzi at one end of the pool and underwater water music. How cool is that?! KL Tower Serviced Residences is a trendy serviced residence conveniently located in Legaspi Village, Makati. It is just a few steps away from the bustling Greenbelt commercial center providing an ideal place for business, leisure and recreation. An array of amazing amenities await every guest at KL Tower Serviced Residences. One of them is their indoor pool located at the hotel's 7th floor where the other amenities are also located - such as the fitness gym that is free to use for guests, a function room, kid's play area and sauna. Zen Rooms Malate Robinsons is a serviced residences at Birch Tower Manila - conveniently located along Jeorge Bocobo Street, near Robinsons Place Manila. What I love most is that it is just a few strides away from the city's commercial and entertainment hubs. Restaurants, convenient stores and fast food chains are also just around the corner. 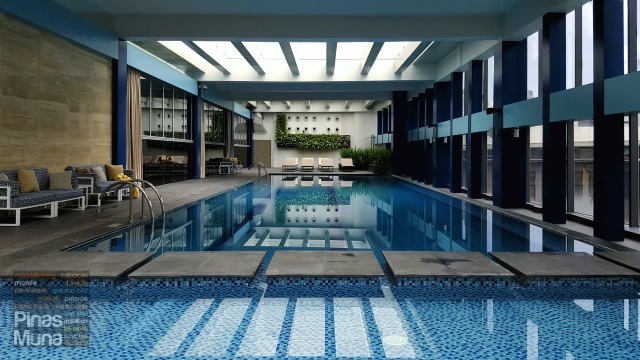 When staying at ZEN Rooms Malate Robinsons, you may also use the building's facilities such the indoor swimming pool, recreation area, and fitness gym, all are located at the 9th floor. BSA Twin Towers is located at the heart of Ortigas Center, just behind SM Megamall and just is a few minute walk from The Asian Development Bank. With room rates starting at 2,000 pesos per night for a Studio Deluxe, guests can enjoy television LCD/plasma screen, free Wi-Fi in all rooms, indoor swimming pools, convenience store, 24-hour front desk, luggage storage and more. With its proximity and easy access to the city's myriad attractions and landmarks, it is a popular choice for business and leisure travelers visiting Ortigas Center in Pasig City. Where do you want to go first? Share your thoughts and comments below in the comments section or tag us in Instagram at @pinoyadventurista. This post was updated in July 2017. More indoor swimming pools in Metro Manila hotels will be added soon!